Fauda, the Israeli hit television show purchased by Netflix in 2016, premiered its second season at the Israel Film Festival in Los Angeles on Thursday. At a panel following the screening of the new season’s first episode, Fauda creators Lior Raz and Avi Issacharoff said that season two would be faster, more cruel, and completely merciless, Israeli daily Yedioth Ahronoth reported. People understand the Israeli-Palestinian conflict better because of Fauda, said Adam Berkowitz, co-head of television at Creative Artists Agency (CAA) and the chairman of the Israel Film Festival, Yedioth Aharonot reported. Fauda (which means ‘chaos’ in Arabic) follows the members of an Israeli undercover special forces unit operating inside Palestinian territories. The show was developed by Messrs. Raz and Issacharoff based on their military service. 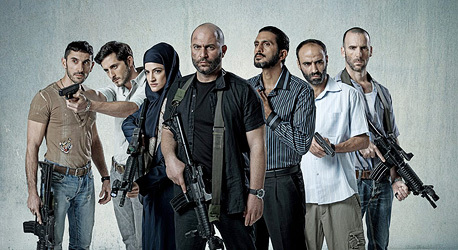 Fauda premiered in Israel in 2015 and was lauded for fleshing out both Jewish Israeli and Arab characters, giving them equal screen time and complex storylines. It was purchased by online streaming service Netflix, where it premiered in December 2016.